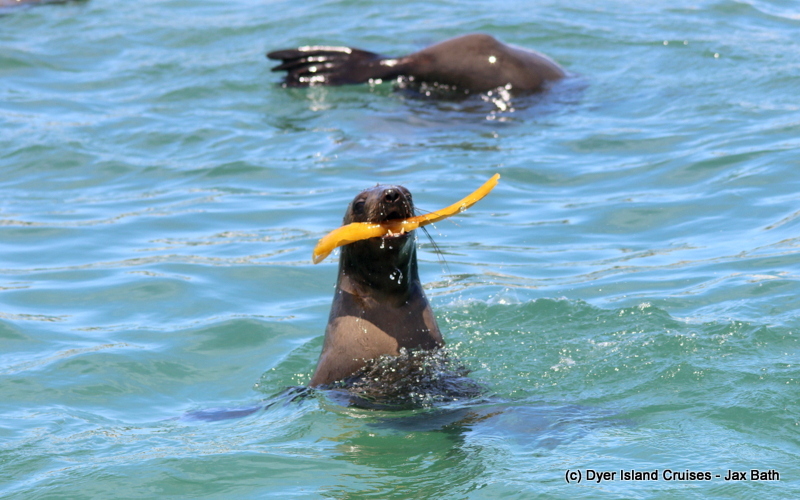 We had an exciting tour through our bay today, getting super lucky with all we got to see. One of the highlights of our tour had to be a sighting of 4 Indian Ocean Humpback Dolphins, including a calf travelling with its mom. 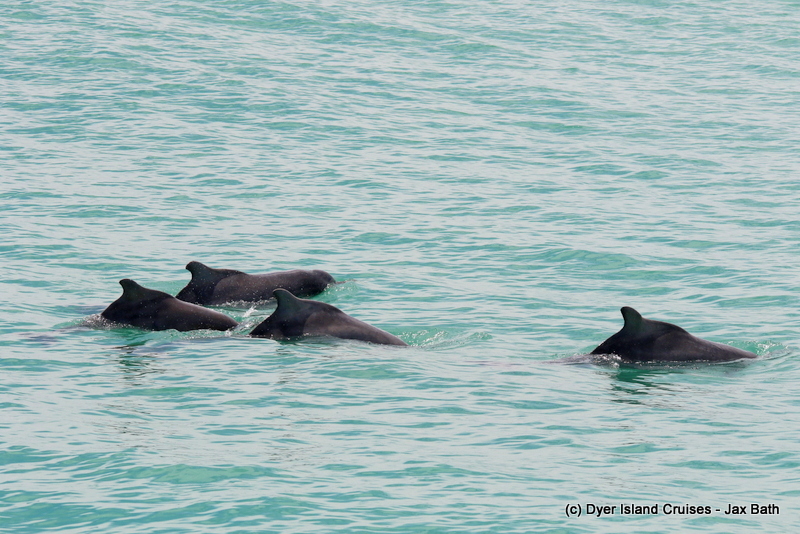 We found these dolphins travelling close to the breakers, and were thrilled to have so many about. We spent some time moving with them, watching as they went into the waves before retreating towards deeper water once more. 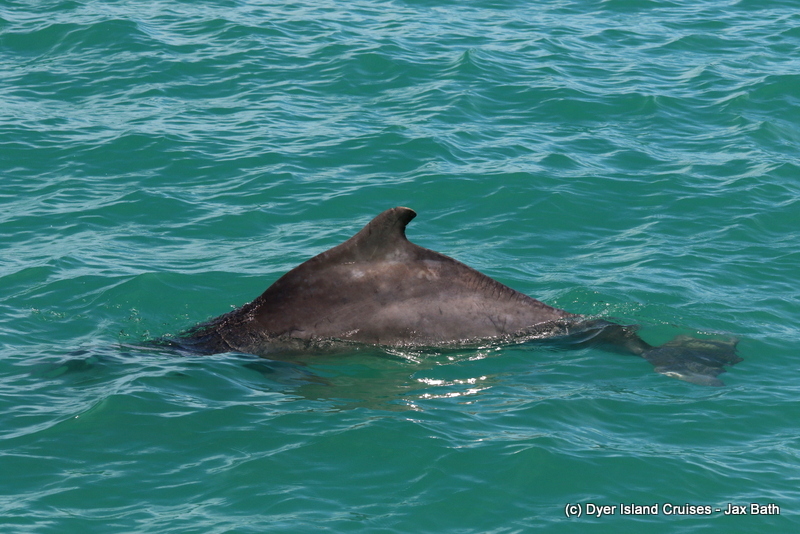 We got a few very close passes, with the dolphins moving below the boat at times. When the little dolphins are born, they are already just under half the size of the mother, and will spent the first several months of their life by her side. 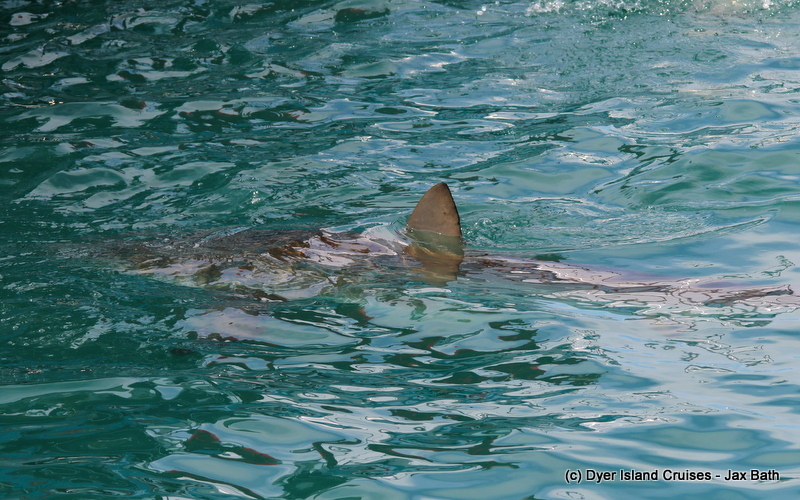 Once we had gotten some great photos, we move onwards towards Slashfin to check out what the Copper Sharks were up to. 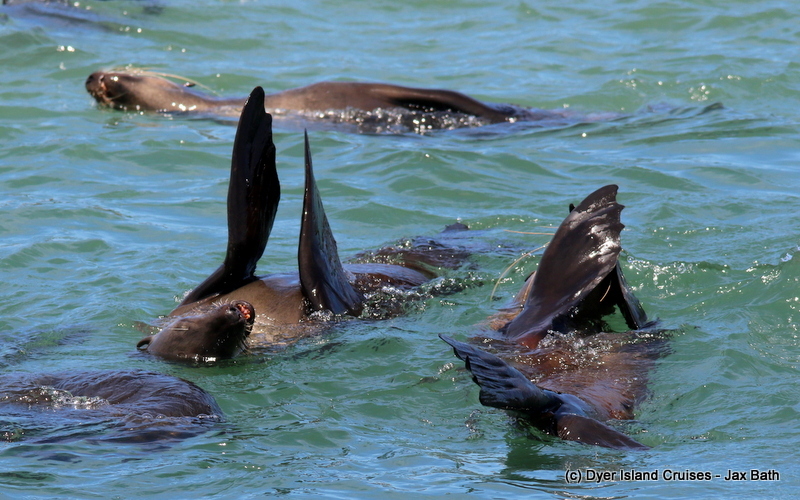 Active as ever, we got to see these predators lunge up in front of the boat. We watched through the crystal clear water as they would approach, surfacing gently as they investigated the front of our vessels. 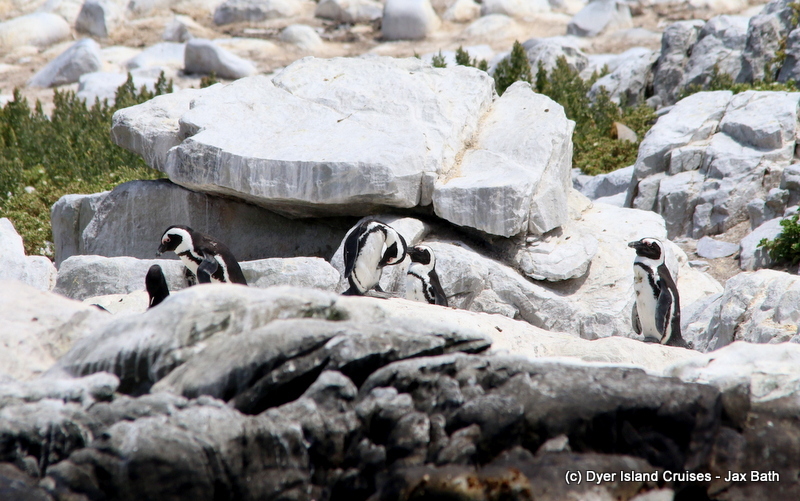 We then made our way into Sponge Bay, where the African Penguins were super easy to spot on the skyline of the island. 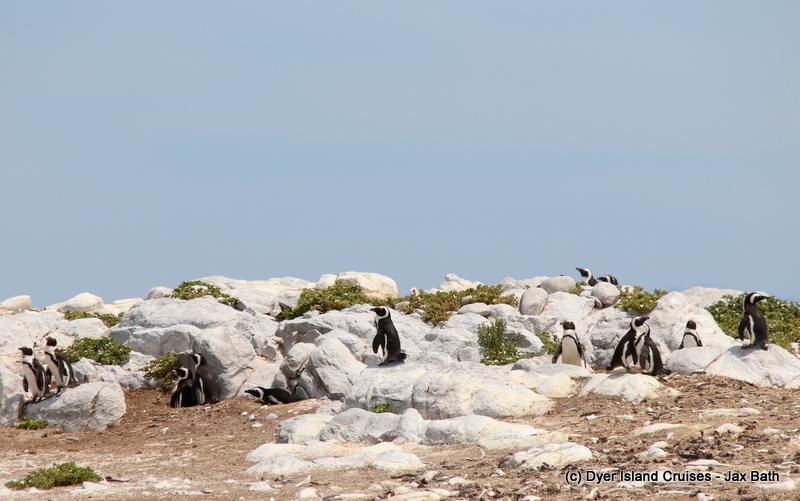 We had lots of penguins sitting on top of the boulders and resting in the midday sun, so we spent a few moments here observing, before we made a b-line for Shark Alley. 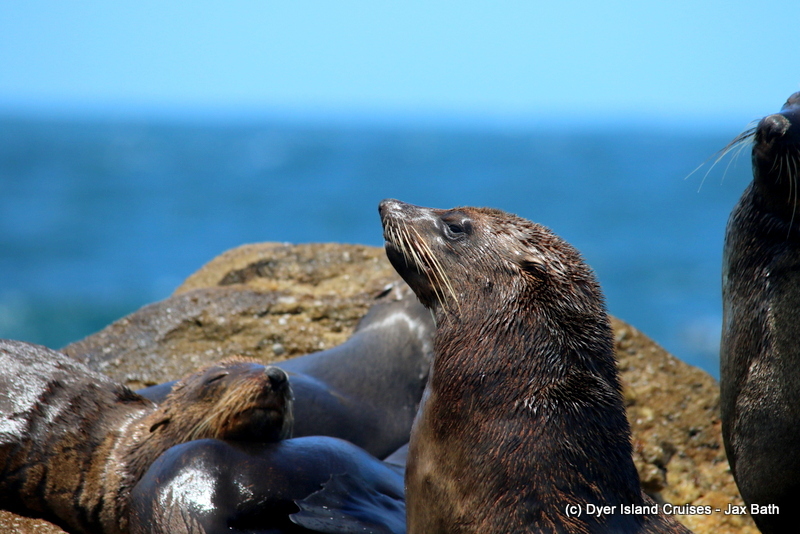 We had lots of Cape Fur Seals fooling around in the water, and thousands more on the island with most of our pups sitting just above the waterline. We cruised by them a few times, watching as the individuals carried on much like domestic Labradors as they went about their day. 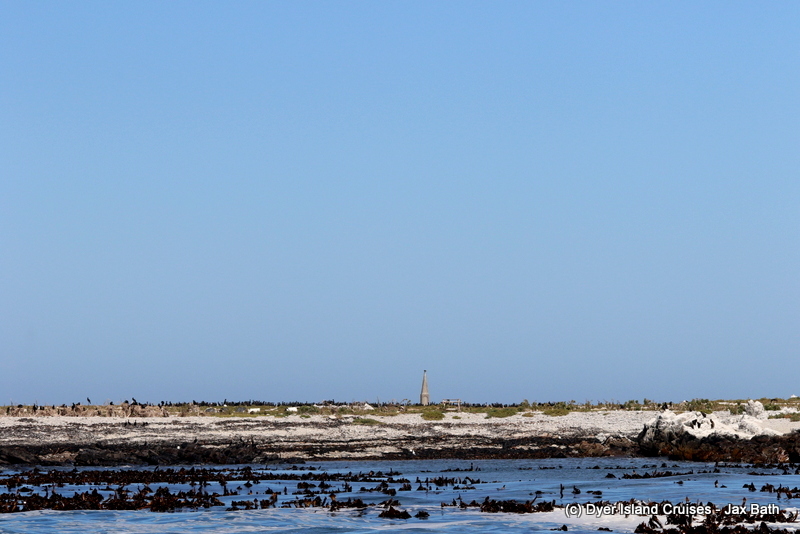 We then made our way back to Kleinbaai harbor. A look at Geyser Rock. 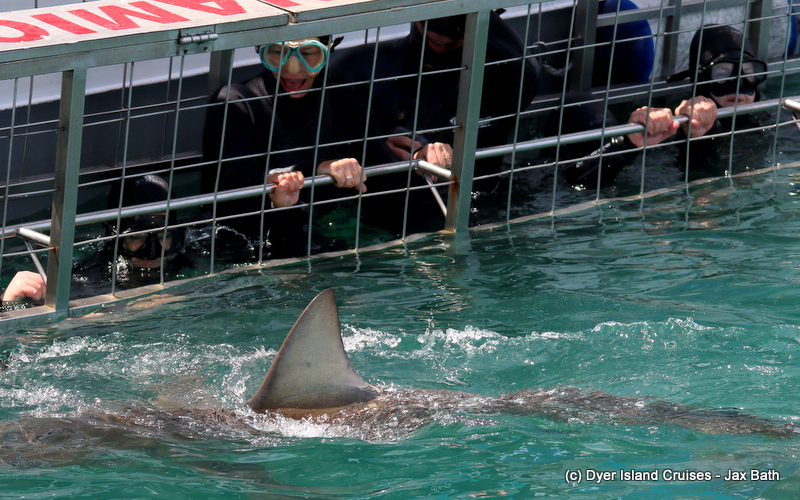 Fooling around in Shark Alley. 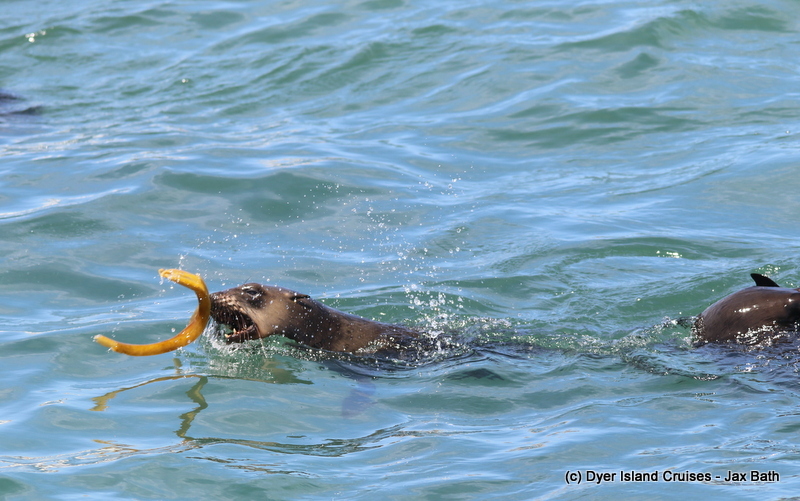 A Pinniped playing with some kelp. 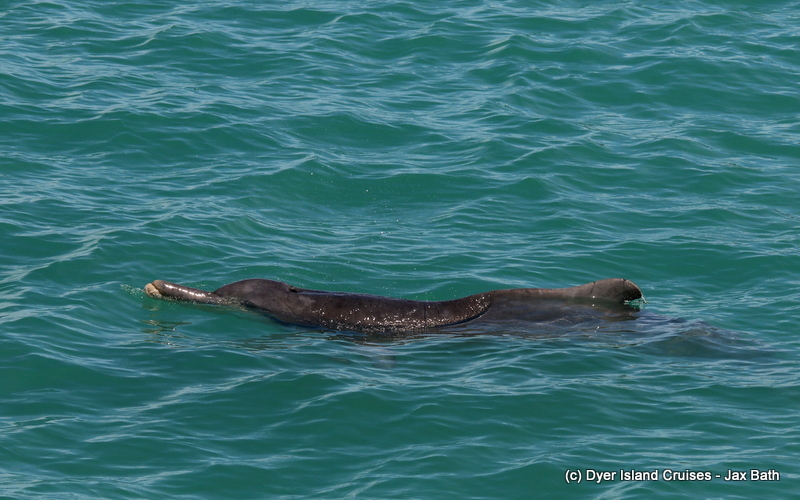 One of our Indian Ocean Humpback Dolphins surfacing next to our boat, Dream Catcher. These dolphins get their name from their accumulated fat hump. 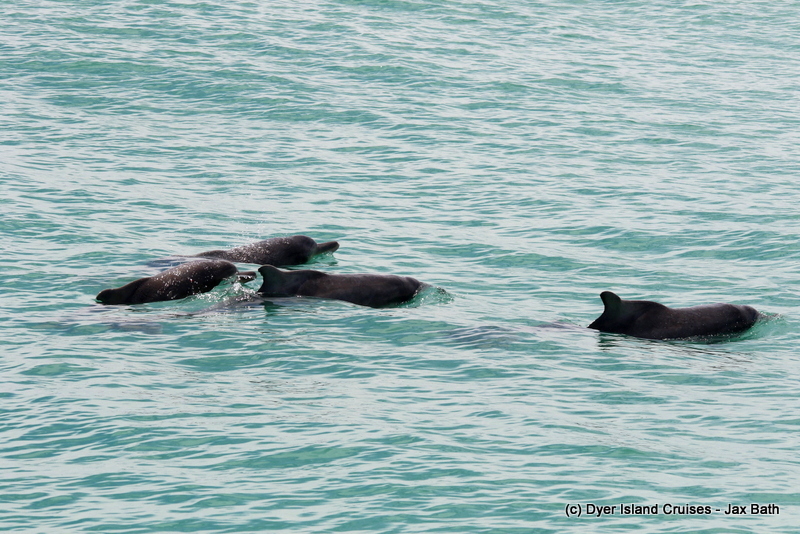 All 4 Humpback Dolphins surfacing together. 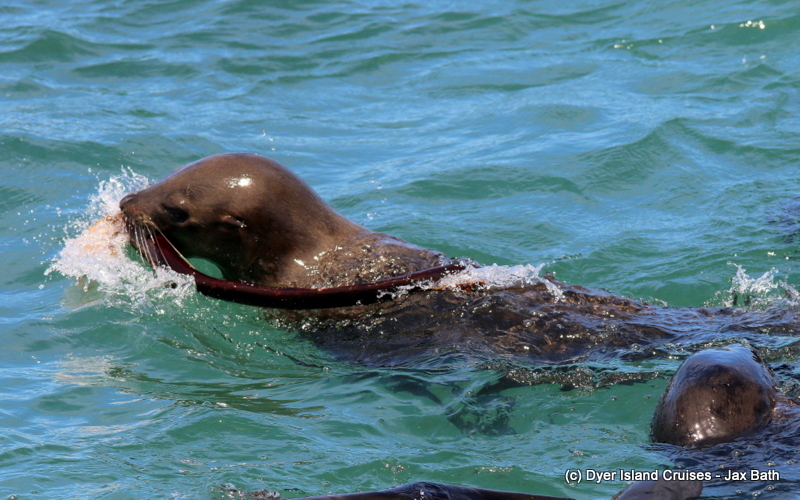 It’s always great to catch up with these beautiful cetaceans. A stunning Copper Shark travels below the surface. Divers getting an epic view of a Copper Shark. 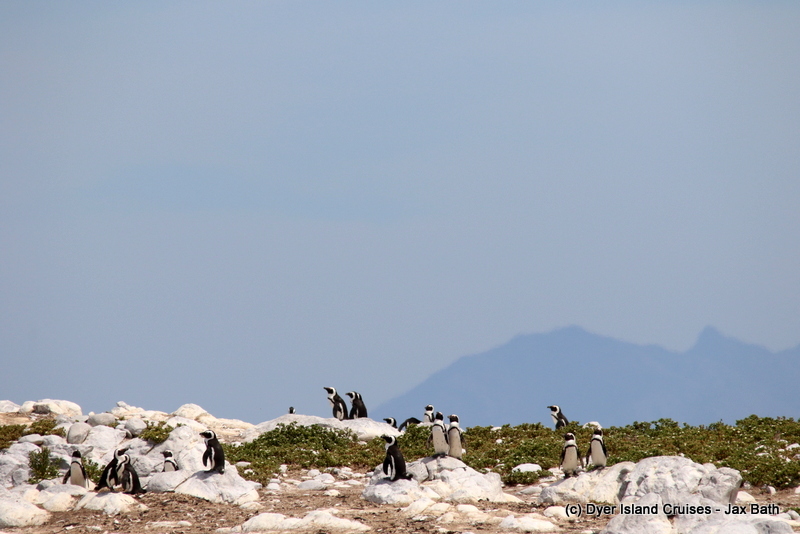 Lots of African Penguins sitting on the sky line of the island today. 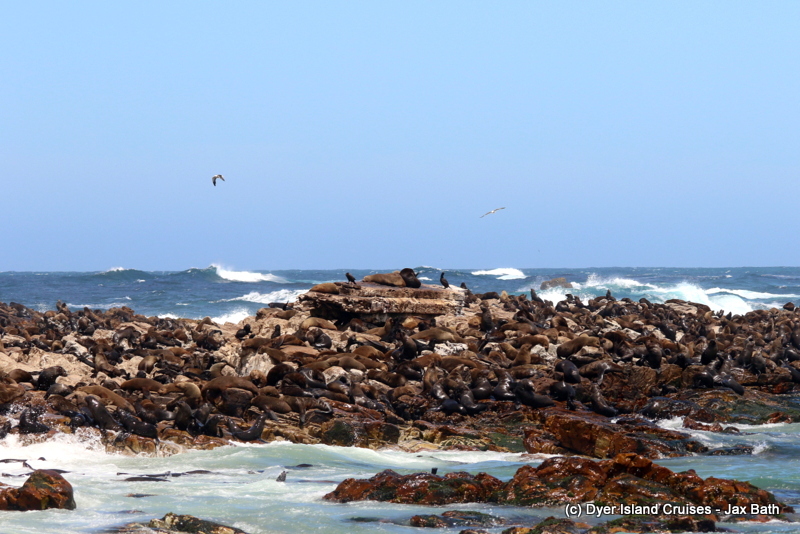 Another look at our birds sitting on Dyer island, which is just over 20 hectares in size. 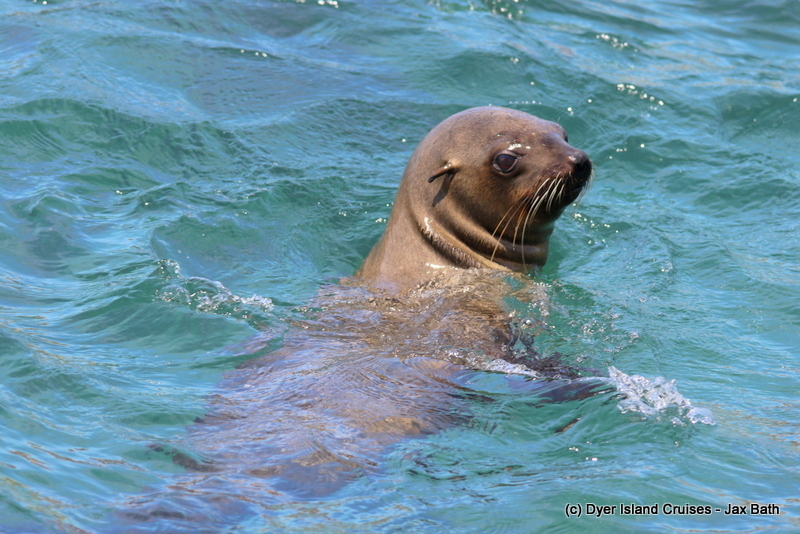 A Cape Fur Seal with a look of judgement.